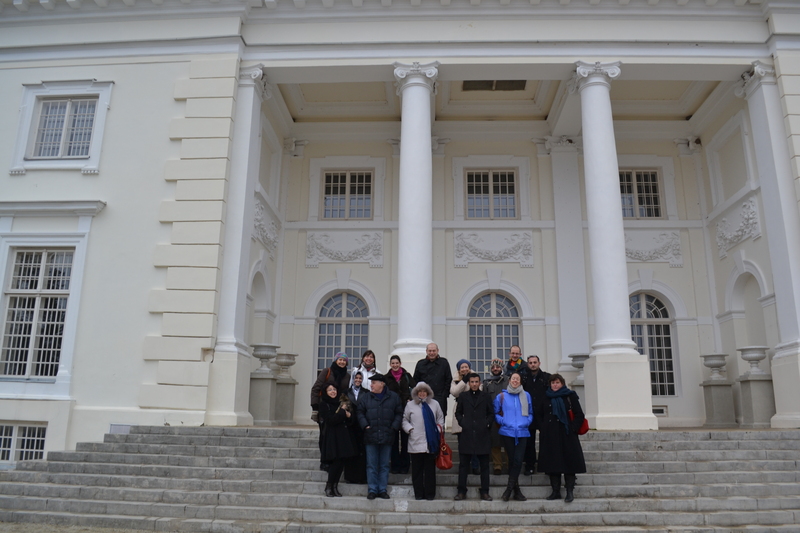 15-16 November, 2012 partners OF the project met for the first time in Vilnius, Lithuania. During this meeting; partners discussed about further development and implementation of the project. Guests were welcomed according to Lithuanian tradition with bread, salt and water; bread as a symbol of partnership and cooperation, salt – a symbol of durability, and water as symbol of innovation and new ideas. Our guests are partners from six European countries (1pic): Belgium, Italy, France, Romania, Turkey, and Germany. Each of them presented their organizations, activities, goals, and told us about their countries. For closer coorporation and partnership partners had to take part in the “X-poetry factor” workshop where everyone had read the same poem in different emotions such as anger, disgust, joy and etc. During the first day; project development, objectives, dissemination, evaluation, activities and evaluation plan were reviewed. In the evening meeting with local slammers was held. Representatives of slam poetry (2pic.) 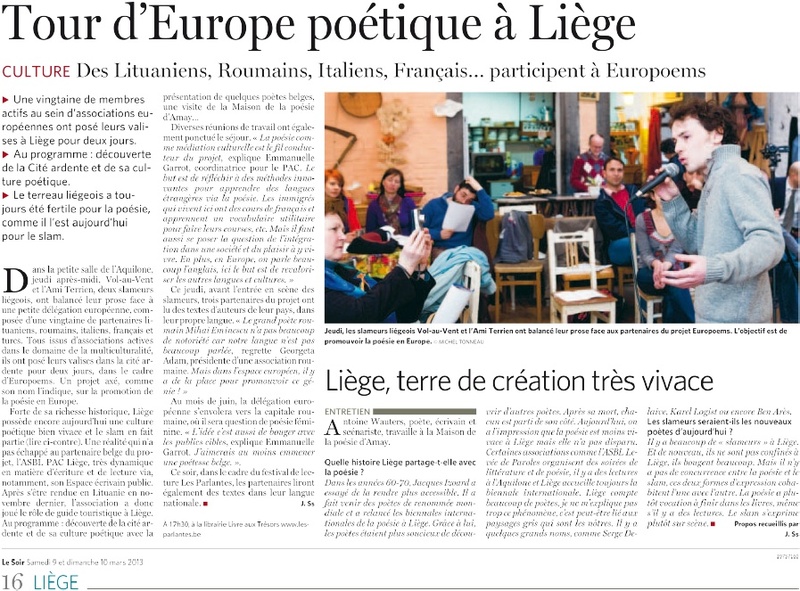 kindly talked about the history and development of the slam poetry in Lithuania and abroad. Participants were able to listen poetry readings in slam way. 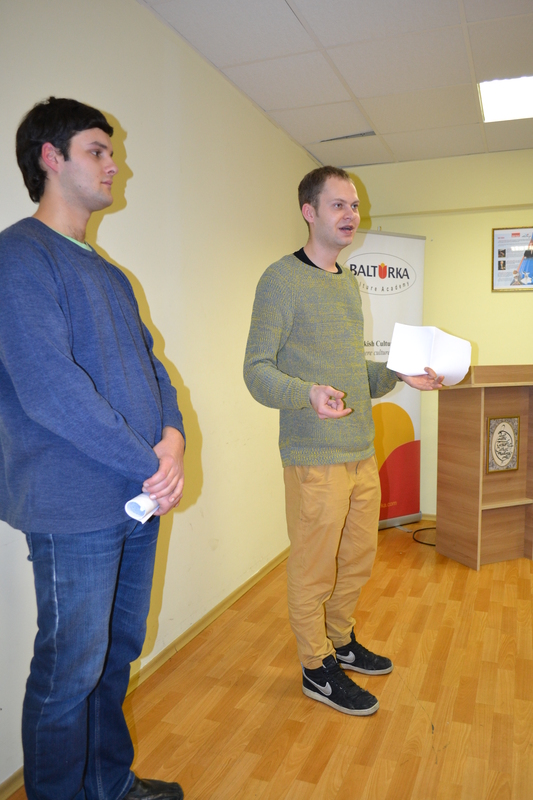 The second day was for familiarization with the Lithuanian language, classic and contemporary poetry and poets of Lithuania. Presentation of Lithuanian poetry classics – Maironis was made. 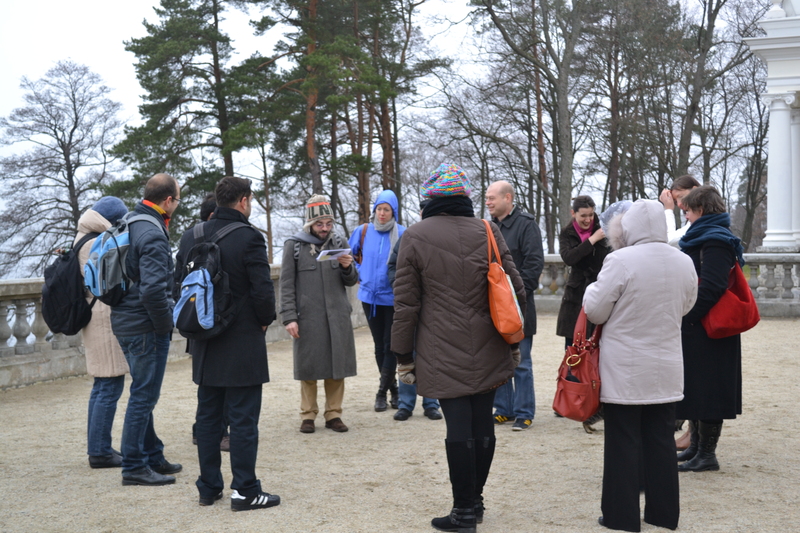 His poetry was read not only in the meeting hall, but also we tried to follow by his poetry to Trakai (3pic.). On the shore of Galve lake we read famous poem “Trakai castle”. Upon returning to the capital we visited the Old Town architectural ensemble representing the Lithuanian scientific and cultural progress of history, and later there was meeting with writers from the Lithuanian Writers’ Association (4pic). Our meeting culminated in a musical lecture “Poetry in the song,” presented by Tomas Pupinis and Vygantas Simkus. On the 15-16 May in Konya, Central Turkey, the 7th, already the last Europoems project partners’ meeting took place. The international partners’ meetings, during which there is always a separate topic (of course, related to poetry, the main topic of the project) being analyzed, are each time hosted by a different partner. The country’s culture, poetry are acquainted to, the project administration issues are discussed. The topic of this meeting was “Love, Friendship, Tolerance”. The organizers invited the guests into a sumptuous hotel conference hall for the meeting in Konya. Thus, once again proving the fact of the Turkish hospitality. We were able to treat ourselves with Turkish sweets, coffee, tea. The guests were given presents with the attributes of the project and the partners: cups, pens, writing pads. These were tiny, however, pleasant details that will let us remember the moments of this meeting in the far Turkey. The Turkish partners are an association “Bemder” of men who graduated from the same school, who, even after a long time after graduation, having created their own families, still gather for common activities, remain close friends. After a short representation of all the guests (in the group there were constant meeting participants as well as new guests) it was suggested to play an amusing getting acquainted game so that everyone could relax and memorize each others’ names. Mr. Bilal, who was the chairman of the meeting, tried to actively involve all the participants into the game so that the ice would be “broken” and it would be prepared for the first serious discussion. in the eastern unit there were the common project publication structure, content details being discussed. Since the all the countries did quite a lot during the project, and each of them is in different activities, we came up to common decisions that the content should consist of presentations of the national and project international meetings’ activities, description of the presentations made, translations of the poems, learning through poetry methodology. Then, followed the Lithuanian team presentation on the topic “love, friendship, tolerance”, during which we presented what these notions mean to us, Lithuanians, their etymology. We revealed the friendship theme through a poem “Friendship” by S. Nėris, tolerance through V. M.-Putinas’ “Faithfulness”, and we had made an unconventional decision for the theme of love; we spoke about love for our homeland through V. M.-Putinas poem “Yet No One Will Love You As Much”. After the morning meeting part it was lunch that followed and since food is a very important part of the Turkish culture, we had to evaluate it and feel it. After a delicious lunch and non-formal communication at the lunch table we gathered at the hotel for the afternoon section again, where there was a presentation made about Mevlana, the great philosopher, poet, who had created and lived in Konya in the XIII c. We got acquainted with a tittle of the history of that time, that allowed this great spiritual master, the pioneer of Sufism, mysticism poet rise. Afterwards, we went to get to know the historical territory of the city. The guide told us about famous sights, architecture, history. Konya, in which now there live around 1000.000 inhabitants (more than there live in Vilnius! ), stands out with its rich history, since it emerged in the intersection of civilizations. It once was the regional center. Thus, up till now it possesses a great cultural, spiritual, architectural heritage; a lot of mosques, remaining ancient buildings, water reservoirs. After the walk we savored dinner in a traditional restaurant where all dishes were selected only from traditional, centuries reminiscing meals: without oil, tomatoes, other contemporary ingredients, only what was eaten in the ancient times. Later after the dinner we went to an ancient village located in an amazingly beautiful place, a lowland surrounded with hills on which in the heights mosques and churches situated created an impressive view from far away. Seated in a cosy outdoor cafe we were drinking Turkish tea, smoking a water pipe, listening to a musician, who had been on a visit there with his little daughter, that kindly agreed to sweeten our night with traditional Turkish music and songs. On 16, May we gathered at the hotel, got to know the Turkish poetry. 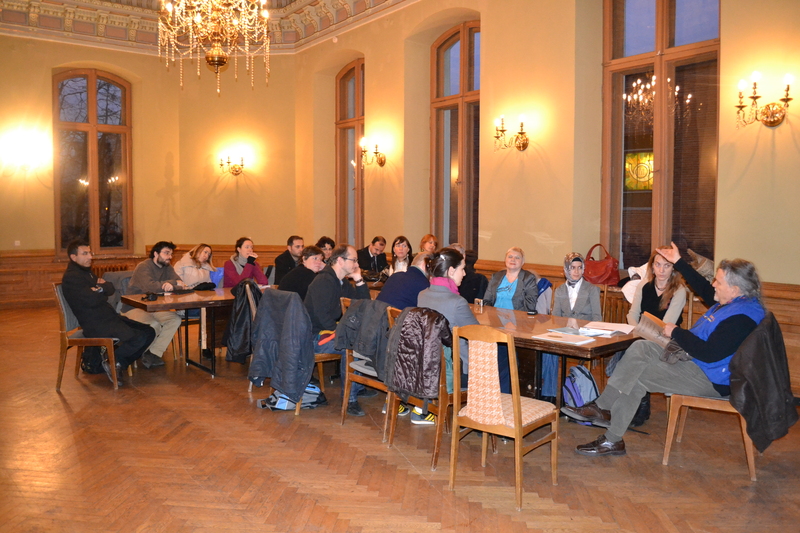 We had a chance to listen to Hamid Depeler and Ahmet Aziz Gok verses with translation into the English language. After the poetry we discussed the final project report writing peculiarities and the remaining project works, responsibilities. Later on we went to the city where we had a unique opportunity to participate in the Friday Islamic mass in a mosque, to see the Islamic culture spiril at close quarters. After the dinner we went to Mevlana museum, a house where this great man used to live and work. We were able to see a lot of heritage of that period of time. Visiting tiny rooms with low door frames enabled us to learn a part of Mevlana’s teaching – you have to bend before you enter the room so that you would throw pride away and humble. A human is only a poor creation of the universe. After visiting the museum we gathered at the park nearby in which there were verses on the “Love, Friendship, Tolerance” theme presented and read in Romanian and Italian languages (we received English translation); we had a discussion. After this memorable cultural part we drove to Bember association where we had to evaluate this two-days visit. We answered the given questions all together, filled in the questionnaires and received certificates. Also, a single unofficial, however, from my point of view, a truly important part is communication with an international project participants’ group, with people from different cultures, discussions on the bus or at the dinner table, a possibility to be together is a priceless experience. Since that was the last meeting of this project, we were enjoying the last moments together, knowing that maybe we are meeting for the last time in general. During the supper, which was chosen in a spectacular place, at the top floor of a skyscraper, in a restaurant that spins round, windows of which overlook to almost the city, seated at the tables we were sharing the last chance to spend the time together. We were chatting and remembering the project, what it was like. We met with the families of your partners; we celebrated the closing of Europoems. The project ended. Nevertheless, it will remain present in the memories and hearts of the participants; indelible in the impressions of the trip.